Electrolux Professional has provided the kitchen and laundry equipment for Kingfisher Court. This specialist mental health facility is located at the Kingsley Green site near Radlett, Hertfordshire. 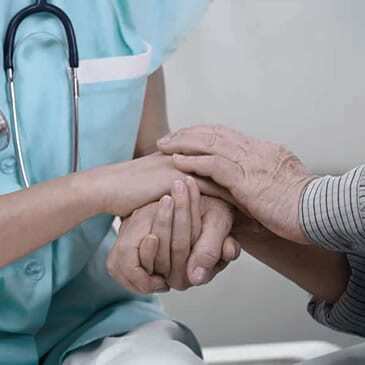 The facility, which opened in June 2014, is the culmination of over four years planning and a £42m investment from the Hertfordshire Partnership University NHS Foundation Trust’s (HPFT). The design for Kingfisher Court has drawn upon international best practice to create a healing and therapeutic environment for people on their recovery journey from mental illness. The structure, to ensure catering and laundry practices, meets the exact requirements and ambitions of the facility, while adhering to the very highest hygiene standards. 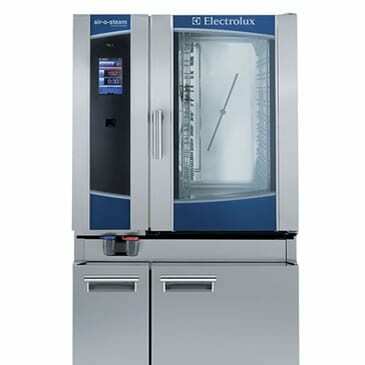 The main laundry room consists of three Evolution Barrier washers from Electrolux Professional’s Line 5000. The Line 5000 Barrier healthcare solution has been designed so the dirty linen is loaded on the dirty side of the machine, and removed on the clean (opposite) side of the barrier wall. This means that when the washing is taken out, there is absolutely no chance of re-contamination where the soiled cloths may have left bacteria. After visiting the Electrolux Professional Center of Excellence to see this concept in action, it seemed to be the ideal solution for the facility and is now used to launder bedding and towels. 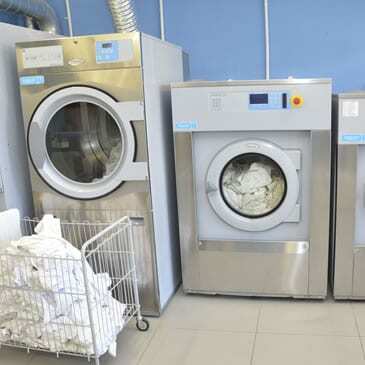 Through implementing a system of laundry cycle management, the healthcare centre is sure that there is no chance of contamination at any stage in the laundry process. A second laundry within the facility specifically cleans microfibre based mops and cloths which are now completely reusable. Unique to Electrolux Professional’s Line 5000, is the Electrolux Hygiene Watchdog, which assures hospitals that any wash program is performed in full before it can be unloaded on the clean side. The technology also boasts the potential to install up to 200 personalised wash programmes for full operational flexibility. The barrier machines are backed by three T5675 tumble dryers and a 1650mm IC43316 ironer which complete the laundry process. Kingfisher Court also possesses a traditional laundry for each of the five wards, which are used to launder patient garments with specialist quick washing and drying cycles. “We knew what type of laundry we were aiming for and Electrolux Professional fitted our specific criteria. Our barrier laundry is our most important feature and provides complete cleanliness and also peace of mind for our staff. Electrolux Professional also worked with Kingfisher Court on the kitchen design to ensure streamlined catering for every resident and consistent delivery of meals throughout the day. The facility required a combi oven to meet the needs of a versatile menu, and the Electrolux Professional air-o-steam Touchline combi was chosen due to its compliance with the highest hygiene standards through HACCP data control, the variety of cooking programs it possesses and its integrated, fully automatic self-clean functions. A complete 900XP horizontal cooking suite was also supplied including a bratt pan, four burners, and fryers. The hospital also utilised Electrolux equipment for its warewashing, a green&clean Hood Type machine was installed in the main kitchen and under counter green&clean dishwashers in the ward kitchens. These machines enable the user to wash up to 80 racks per hour, while guaranteeing every cycle sterilises the products at over 84°C. “Electrolux Professional is a well-established and well respected manufacturer of commercial catering equipment which has developed a strong working relationship with IFSE – the UK’s leading catering design and fitout company – who are an approved Interserve catering contractor. “Electrolux and IFSE worked with us to put the design and tender proposal together which the Trust were pleased with so we were happy to work with both parties who helped us complete a very testing project on time and to the standard expected by our client. air-o-steam Touchline Combi Oven uses steam intelligently while preserving food’s natural nutrition.